RiskRevu Featured as InsurTech Spotlight at InsurTech Hartford Event. 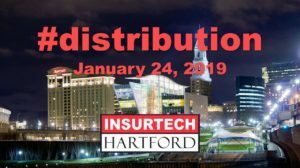 January 24, 2019 – Hartford, CT – Insurance Agents and InsurTechs gathered in Hartford, CT for an InsurTech Hartford event. They spent the evening collaborating on insurance distribution. RiskRevu Founder & CEO, Kurt Thoennessen, shared how digital forms are improving the way insurance agents engage with their clients.